Home > HANGING ART SILHOUETTES, Wrought Iron - For Everyday and Holidays! 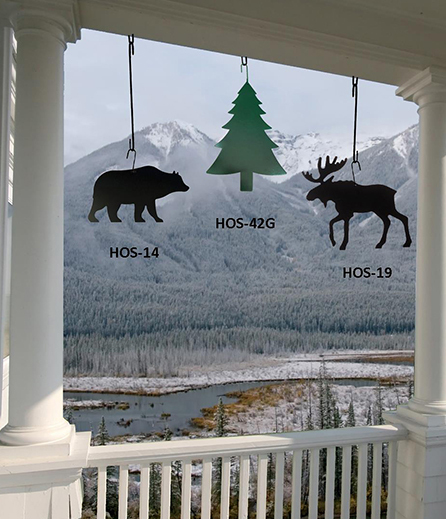 The hanging art silhouettes are created of wrought iron and have a baked-on powder coating for maximum moisture resistance, making them perfect for indoor or outdoor use. Choose from our large selection of silhouettes to enhance your decor. Where appropriate the silhouettes have colored baked-on powder coating.